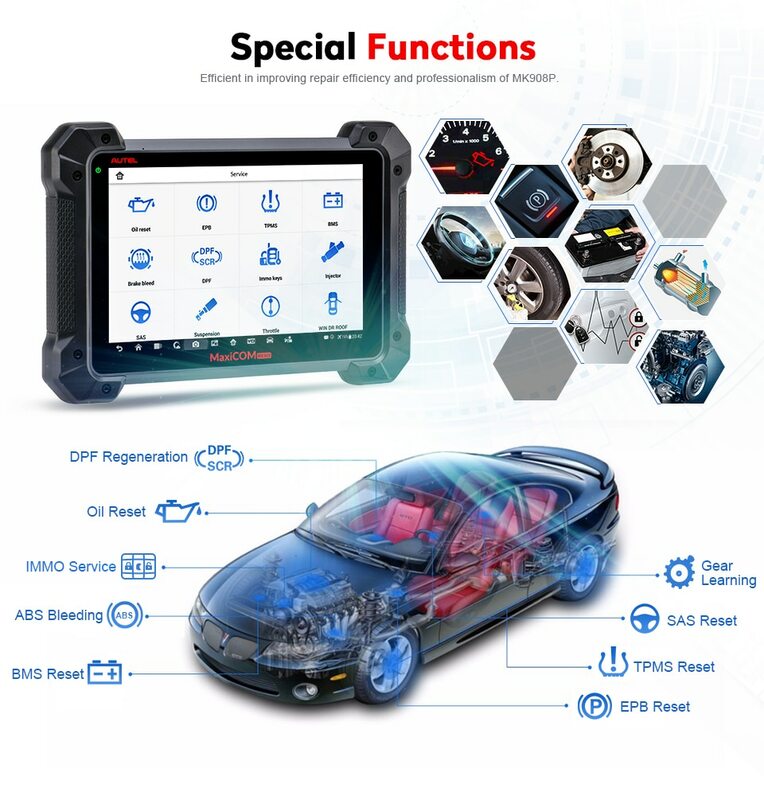 MK908P is upgraded version of MS908P, Offering comprehensive OE-level diagnostics, ECU coding and BMW/Benz ECU programming, the MK908P is an ideal automotive diagnostic tool for mechanics to troubleshoot the warning lights and fix the vehicle control modules' issues. 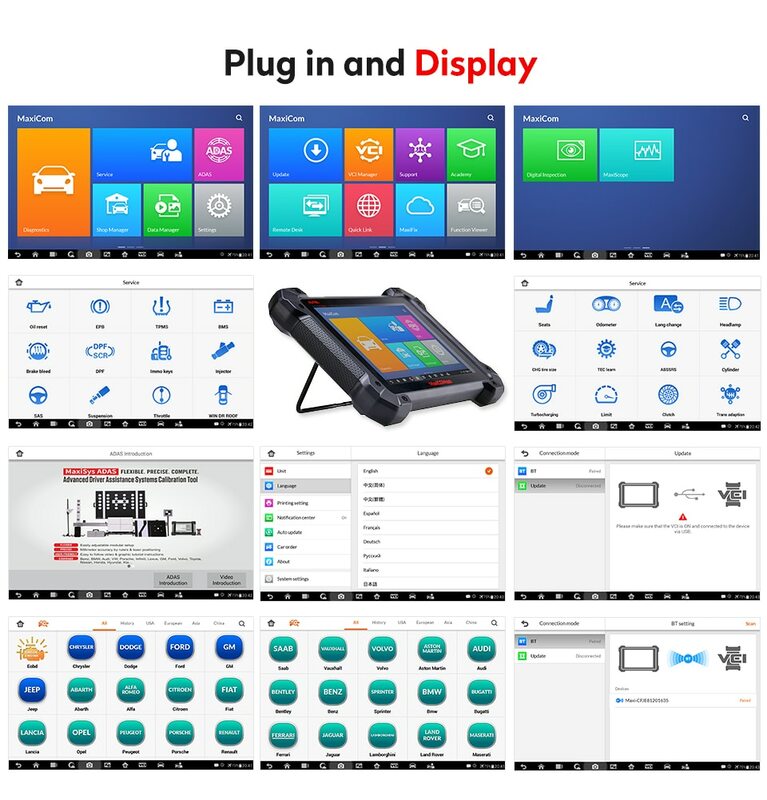 Simply accessing the diagnostic modes via AutoVin or Control Unit, and you’re able to perform diagnosis over all the systems on the vehicle’s ECU in order to locate fault systems and retrieve DTCs. 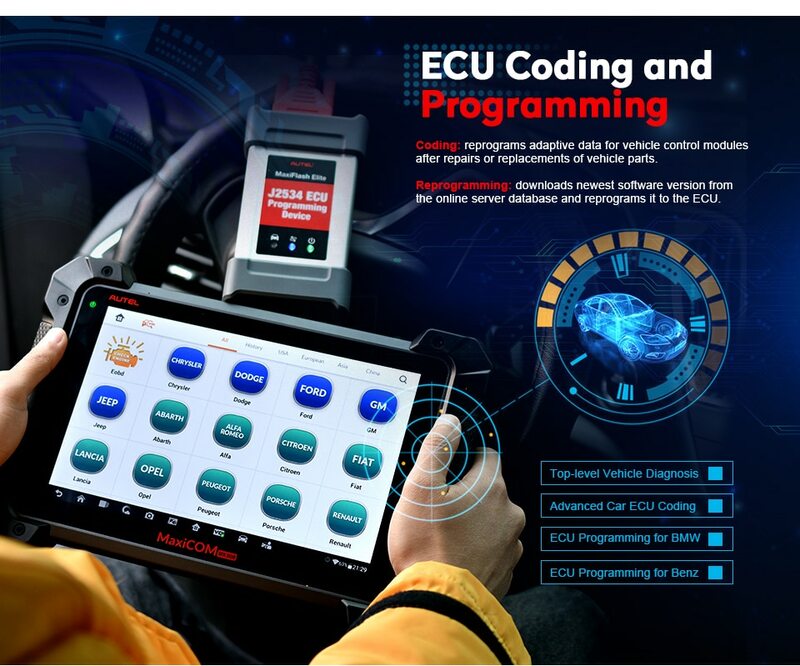 ECU Information – provides the retrieved ECU information in detail. Read Codes – displays detailed information of DTC records retrieved from the vehicle control module. Erase Codes – erases DTC records and other data from the ECM. 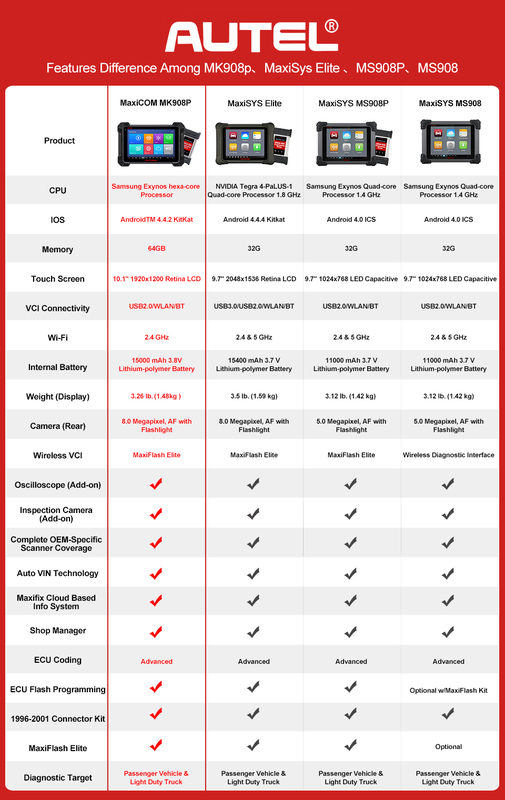 Live Data – retrieves and displays live data and parameters from the vehicle’s ECU. Active Test – provides specific subsystem and component tests. Oil Reset Service: Allows you to perform reset for the Engine Oil Life system, which calculates an optimal oil life change interval depend on the vehicle driving conditions and climate. 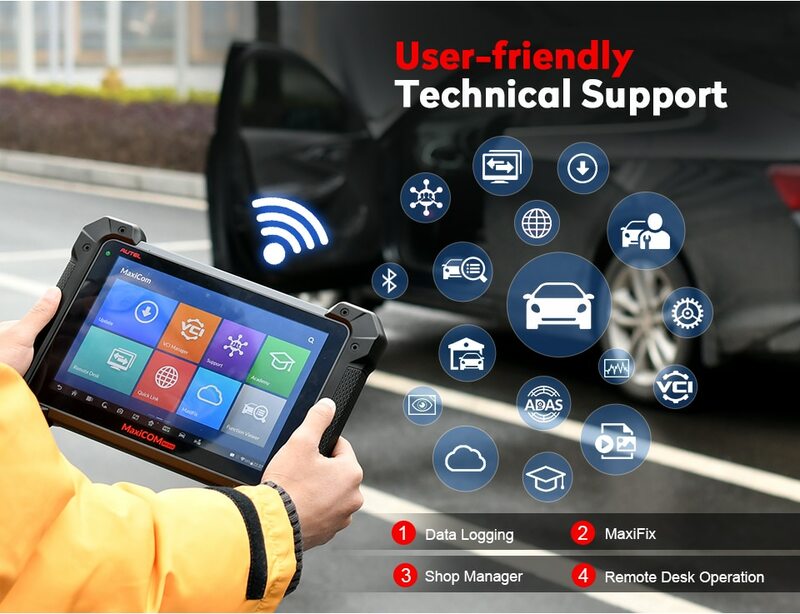 EPB Service: Helps maintain the electronic braking system safely and effectively, deactivating and activating the brake control system, assisting with brake fluid control, opening and closing brake pads, and setting brakes after disc or pad replacement, etc. SAS Service: Allows you to perform calibration for the Steering Angle Sensor, which permanently stores the current steering wheel position as the straight-ahead position in the steering angle sensor EEPROM. DPF Service: Allows you to carry out numerous functions to the Diesel Particulate Filter system. TPMS Service: Allows you to quickly look up the tire sensor IDs from the vehicle’s ECU, as well as to perform TPMS programming and reset procedures after tire sensors are replaced. 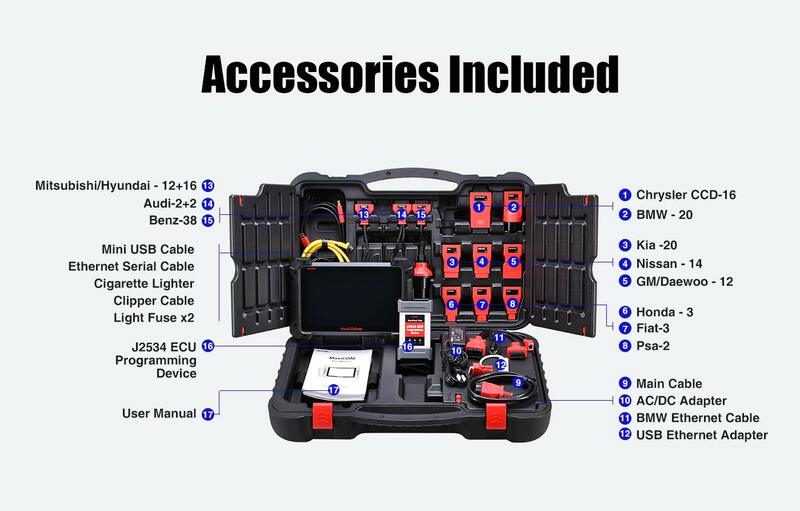 IMMO Service: Programs a new anti-theft key, and performs key matching when the ignition switch, the combined instrument panel, ECU, BCM, or the remote control battery is replaced. 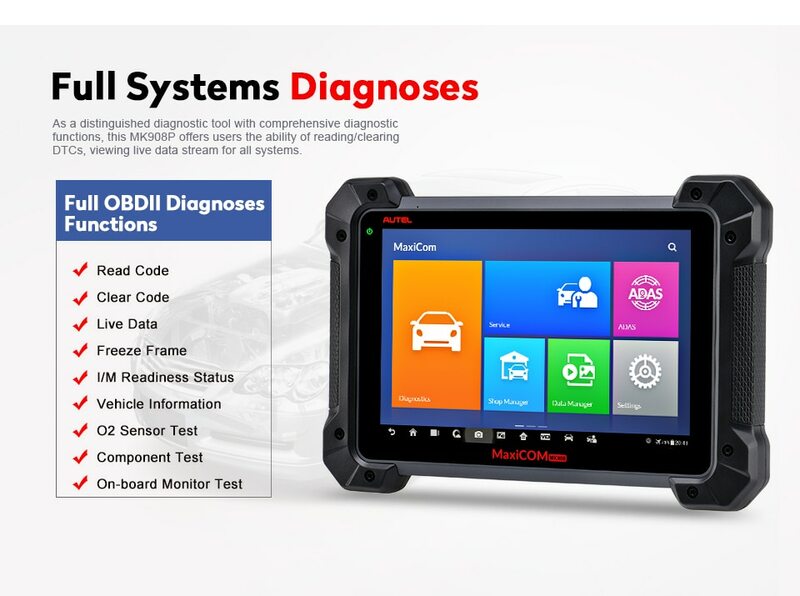 Q2: Does MK908 device support truck diagnosis?